It's that time again, for everyone to update their copy of the EmuMovies Download Service Utility. 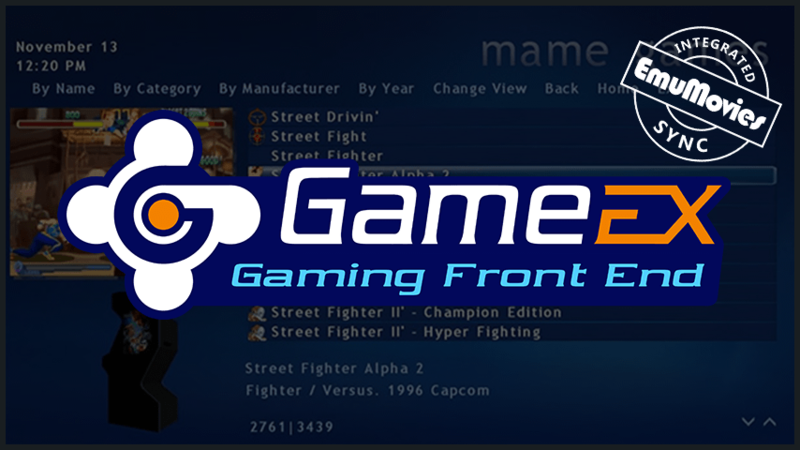 Version 2.0 adds support for the new GameEx Database Videos released earlier today. You know what would be nice? A FAQ or maybe a tutorial on using DSU. Ive contributed and have access to DMU but am not really clear how it works. The questions I have pertain to DMU as well as Hyperspin, and I know you don't support Hyperspin so question 2 really doesn't pertain to you but heres my questions and any reply you could give me would be appreciated. 1) Under the Download tab, I see how you pick your system (ie,mame) then point it to your mame rom folder so DSU can see what roms you have and download the correct art or movies, but what should the path be for the download folder? The same path as where mame resides on your local drive? (ie, c:\emulators\mame), or if your using hyperspin, in your hyperspin folder under media\mame? Right now I have my download folder pointed to the DSU default which is a folder on my desktop called Download Service, and that is where DSU puts the files it downloads. Im guessing that's not correct because I have to manually copy all the movies from there to either my c:\emulators\mame folder or (since im using Hyperspin) to the hyperspin\media\mame folder. What is the correct path? 2) And of course when I downloaded the videos I picked MP4 because I knew its a much smaller file size compared to AVI but after downloading MP4 Video_Hi_Qual, Mp4 video database and Mp4 intro I went into the hyperhq.exe utility for hyperspin and under the settings for the video folder path location it says in bright red letters that it uses AVI files, so then I go back to DSU and download all the AVI Video_Hi_Qual , Video database and Video intro's but after reading the forums, it seems MP4 work just fine with Hyperspin. Since Hyperspin works with EMUMovies, you would think that someone at Hyperspin would update their utility to show that MP4's work and help you guys save some bandwidth. So is it safe to say that Hyperspin can use both AVI and MP4? 3) Lastly, I get the difference between VIDEO, and VIDEO_HI_QUAL but what about Video database? Whats it for? I downloaded that as well and after some research it seems I don't need that folder at all unless im running GameEX, which I'm not. Is that correct? I agree with What2be, a FAQ or even a video tutorial would be awesome. I would make one, but I don't know much about what DSU supports or how it works. I just finished my first set up of Hyperspin and am now making it look pretty. So I currently can't log in. Is anyone else having issues logging in using DSU? Maybe I am just impatient (I paid 12 hours ago), but I would like to start getting some videos using the DSU. After entering the same information to sign into the site, a message box states login failure. I haven't tried the FTP yet, but probably will tomorrow. Is the login information different than the site? If so where do I get that login information. I have seen posts regarding this error in older versions, and their answer is to submit a support ticket. So, if I can't login by Tuesday night, I will have to do that, but to be fair I will wait a few days. No sense waiting to put in a support ticket, activation is instant. As far as how to use the files in Hyperspin (pretty much videos only as their artwork is custom to that FE) you just point your video path to the one the DSU creates. Or copy them to whatever folder you like. Our DSU is kept extremely simple for general use but we share the API with front end developers to create their own utilities that work better with that specific FE. IE HyperSync directly accesses our API and is much much easier to use than our downloader as it is specifically made for that FE.